Imagine slipping your canoe into crystal clear, cool water on a quiet morning, entering a gentle current that carries you along with just a few strokes of your paddle. A low fog burns off with the rising sun, revealing high, jagged bluffs towering behind the tree-lined riverbanks. On a rock near the water’s edge, a great blue heron waits perfectly still, eyeing the river for its next meal. Overhead a bald eagle soars. WHAT MAKES THE KINGS RIVER SPECIAL? 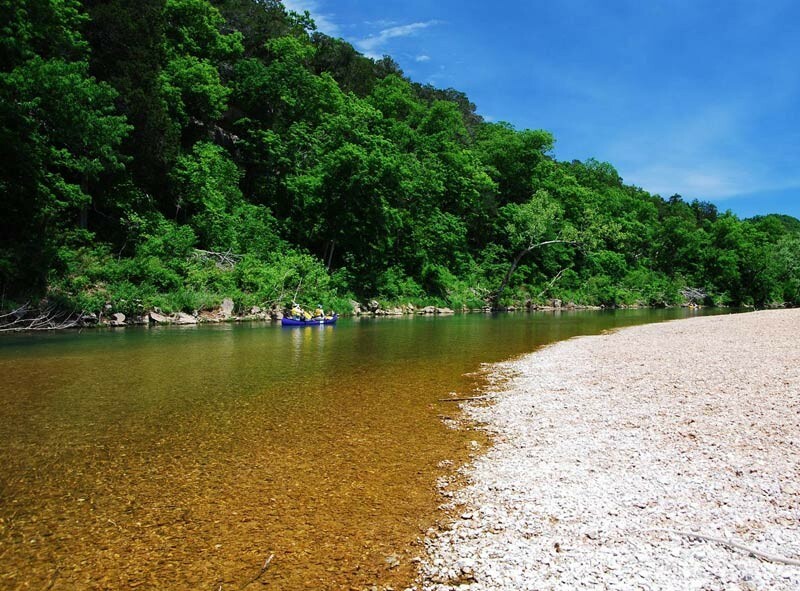 Flowing out of the Boston Mountains of Madison County, the Kings River meanders 60 miles across the Ozark Plateau where it meets Table Rock Lake on the Arkansas and Missouri border. Breathtaking views are found around every bend. Thousands of people visit the river each year to canoe, fish and swim. Yet it remains just enough of a secret that you can still feel a sense of peaceful solitude and communion with nature that other, more crowded rivers have lost. Nature abounds here. Abundant smallmouth bass draw anglers from across the country. Opportunities to catch sight or sound of some 200 bird species, or perhaps a playful river otter or family of white-tailed deer, draw in wildlife viewers. 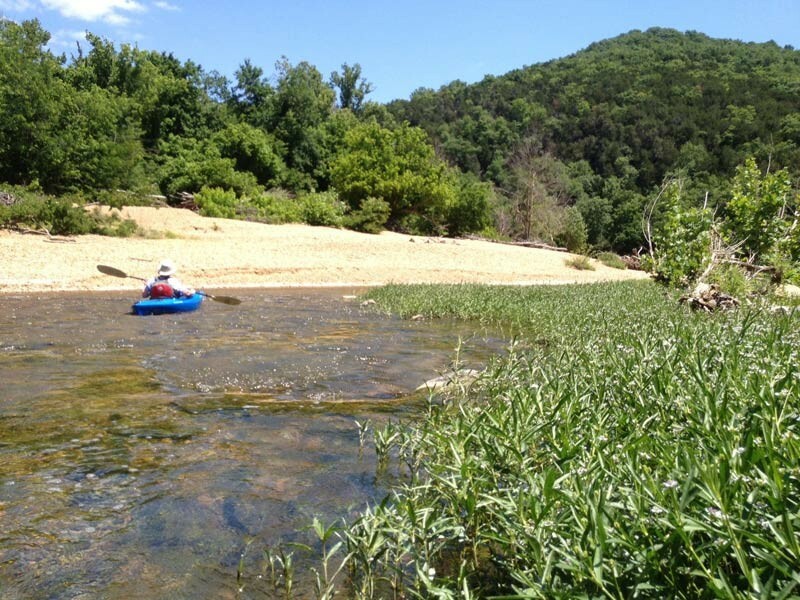 And the river is home to 18 species of fish, crayfish, mussels, turtles and insects that are found only in the Ozark Mountains, making it especially important for conservation. One species, a stonefly, is only found in the Kings River watershed. 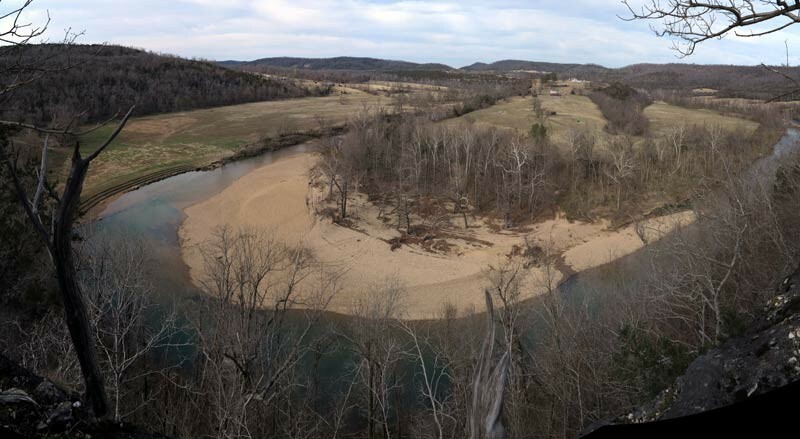 Not only is the Kings River a haven for wildlife and a beloved destination for people, it also contributes to the drinking water of dozens of communities in Arkansas and Missouri. That makes maintaining the river’s quality critical to safeguarding the community’s health. As people settled the Kings River area, the landscape changed. Streamside land was cleared for pasture, leaving few trees to hold the soil in place and allowing cattle access to the river. At just one site measured recently, some 140 feet of riverbank had eroded away, dumping at least 20,000 tons, or 2,000 dump truck loads, of sediment into the river. Instream gravel mining and runoff from eroding, unpaved roads also contribute significant sediment to the river. Why is sediment such an issue? At a very basic level nobody wants to swim, fish or canoe in a cloudy river. But the implications run much deeper than recreation. Each time it rains, sediment from pastures, dirt and gravel from roads and eroding streambanks are washed into the river, costing farmers, landowners and county governments. Landowners lose acreage from these eroding streambanks. County road crews are required to spend extra money and manpower to maintain eroding dirt and gravel roads. Too much sediment also chokes out native aquatic species and degrades critical habitat. Plus sediment makes it harder to provide clean drinking water for thousands of Arkansas and Missouri residents. The Nature Conservancy established the Kings River Preserve in 2010 with generous gifts from supporters and bargain land sales from river landowners. Together we have developed a vision to conserve a river corridor large enough to make a difference to wildlife and water quality. The preserve is located along 10.5 miles of the river. River restoration projects are effectively protecting fields from river erosion. They are serving as on-the-ground demonstrations for other landowners interested in reducing erosion on their property. At the Kings River Preserve, the river corridor is open to the public. Several outfitters provide canoe service, and we encourage everyone to enjoy the area’s natural beauty and diversity. This work is made possible by generous supporters like you who recognize the importance of the Kings River in our lives. There is much more to do; we invite you to be a part of the inner circle of friends making a lasting difference on the Kings. In 2013, an incredible opportunity developed to purchase a critical addition to the Kings River Preserve. A 608-acreproperty became available that added two river miles to the preserve. It boasts some of the best fishing on the river and secured a river access for canoeists. Funding for the acquisition was significantly supported by the National Fish and Wildlife Foundation and Walmart’s Acres for America Program. Lee Scott was President of Walmart at the time the Acres for America Program was developed, so in his honor the tract is being named the Lee and Linda Scott Tract at the Kings River Preserve. 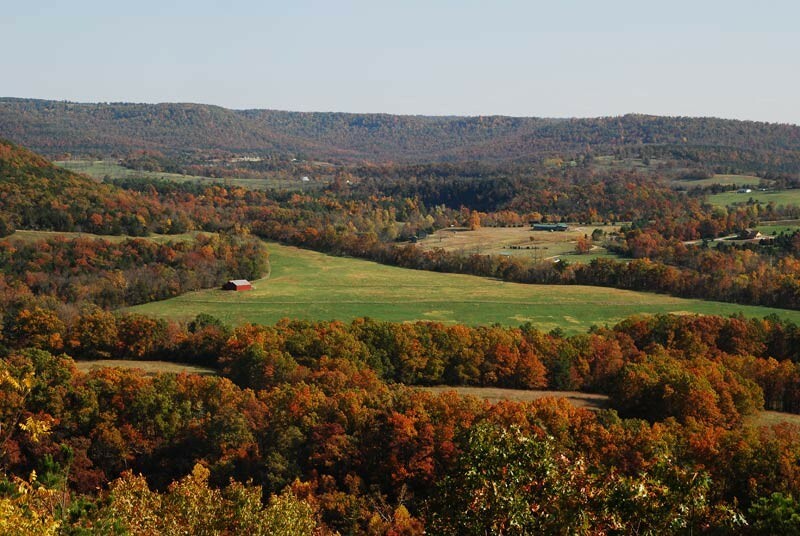 We thank them for their generous support of conservation in Arkansas for future generations! I want to help conserve the Kings River!